The Pakistan Cricket Board (PCB) is, reportedly, unsatisfied with the performance of Chief Selector Inzamamul Haq and his position could be in danger if Men in Green fail to live up to expectations, during the upcoming International Cricket Council (ICC) 2019 World Cup in England and Wales. According to Daily Express, Inzamam, who was appointed as chief selector in 2016, has only been able to achieve a mixed set of results during his tenure, which is a concerning factor for the PCB officials, although he deserves credit for selecting Pakistan’s triumphant ICC Champions Trophy squad in 2017. The former Pakistan captain has also been accused of nepotism and ignoring players who deserved a chance to don national colours. 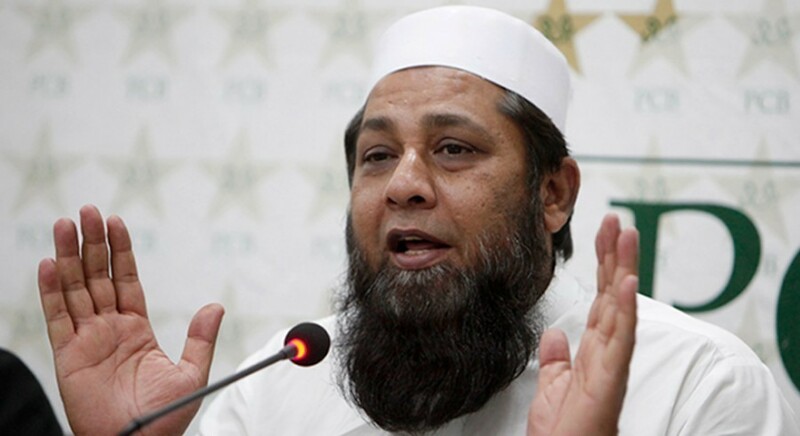 Inzamam also came under fire for his decision to rest core of Pakistan’s side for the recently concluded one-day international (ODI) series against Australia in United Arab Emirates — which Pakistan lost five-nil. Reports have also emerged about him ignoring captain Sarfaraz Ahmed’s advice in selection matters. Selecting Pakistan’s World Cup squad will be Inzamam’s final task as part of his current contract with the PCB. If Pakistan fails to do well at the at the mega event, it could signal the end to his tenure as chief selector of national side. Managing Director PCB Wasim Khan has also discreetly indicated that Inzamam’s contract extension will be linked to Pakistan’s performance at the World Cup. It must be noted that the former right-handed batsman is paid a hefty amount of PKR 1.2 million every month. Sources also stated that former Pakistan wicketkeeper-batsman Moin Khan is one of the top contenders for the chief selector spot, as one of the top PCB official is keen to see him in that role. Khan has previously worked as manager, head coach as well as chief selector of Pakistan side. The decision to extend contracts of current coaches, including Head Coach Mickey Arthur, will also be taken after the World Cup, which is in accordance with statement given by PCB Chairman Ehsan Mani, a little while back.